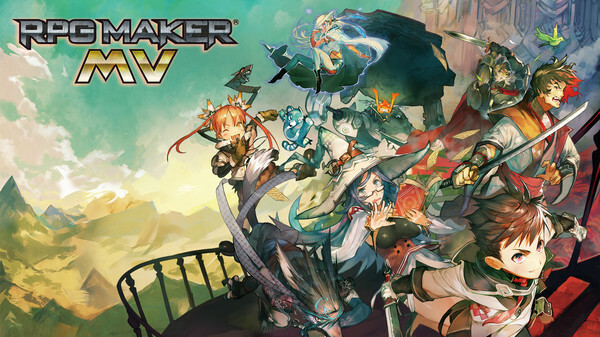 We saw signs of RPG Maker MV [Steam] coming to Linux early last year, but now it's official. RPG Maker MV now has a Linux version and it can export Linux games. With the release of the 1.4.0 update, anyone who owns it now has access to the Linux version on Steam. So anyone wanting to make simple RPG games on Linux has access to a highly rated tool. I know a lot of people prefer their open source tools, but these tools are popular and having them on Linux means the possibility of more people switching without giving up their favourite applications. Hopefully we will see more developers come over to Linux thanks to tools like this. What makes this application so popular is that it takes away a lot of the more complex parts of making an RPG game, so it's an especially useful tool if you have great artistic skills, but perhaps not so great programming skills. It opens up making games for more people. That's a pretty decent list! Is there a list of games done with this program? Eike Is there a list of games done with this program? You can filter them at the right side. Just gone through the first 15 pages of games, and there are a number in my existing Steam games collection. I guess that it will be up to the developers whether they bother to release their titles to Linux or not. On the Steam list, I already spot a few games "on Linux"
At first I was like, pfft, JRPG things, not my cup of anything. But then I saw two games that I own: Lisa and Splatter: Blood Red Edition, and I thought "Oh, okay. That is cool news." Maybe we'll see a slew of RPGMaker games ported to Linux soon. Darn it! I have RPG Maker VX Ace, the previous version to MV. Well, looks like it's time to get the newest version. Quote so it's an especially useful tool if you have great artistic skills, but perhaps not so great programming skills. Does it work well if your talents are aligned the other way around? I can code reasonably well, but I can't draw stick figures to save my life. I would say so, since you can use pre-made assets and the community makes new assets all the time. You will do fine I think.